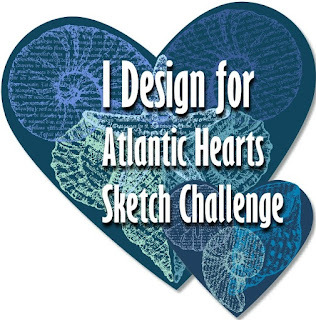 Last week Alice Boll of Scrapbook Wonderland ask if I would like to participate in a different kind of blog hop and given that I am always up for something a little different I said "I'm game!" What makes this blog hop different? It really is more of a blog "tour" and the idea of the tour is to answer four questions, then introduce three fellow creative bloggers who will continue the tour the following week. And so on and so on. Fun! Before I answer my questions I wanted to thank Alice for the opportunity to play along. Please check out her blog, as I find it to be full of very useful information! 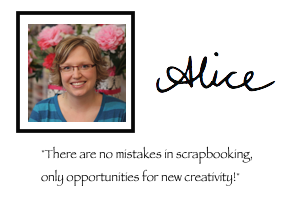 She is wonderfully creative and most definitely has a true passion for scrapbooking. Over the past several months my focus has been on cards for my monthly card clubs. My clubs are full of wonderful ladies and we have a great time but I can be a bit of a perfectionist and the cards can consume me because I always want to make them different/better than the month before. The saying that you are your own worst critic can be very true. 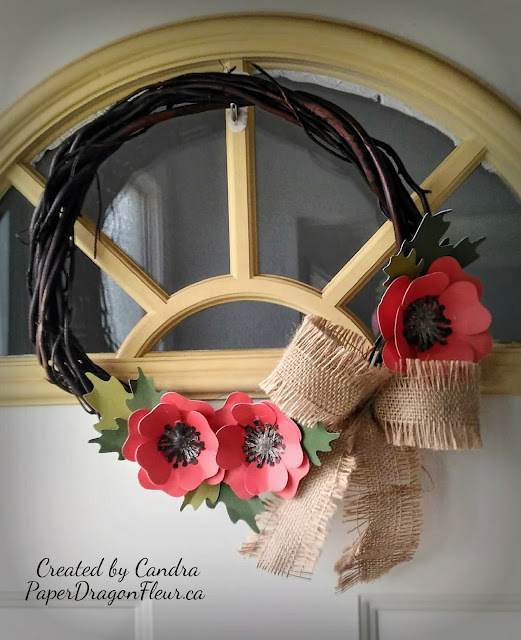 I have also been doing workshops on quilled flowers using the flowers found in CTMH's Cricut Collections, Base & Bling Necklaces and home decor projects like Bracket Frames. I'm not really sure if my work differs all that much from others in this genre. 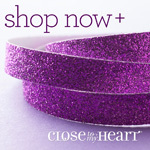 Being an Independent Consultant with "Close To My Heart" most of my work reflects this, I love their products and as I live rural it is wonderful to be able to order what I need and have it show up at my front door a few days later. The fact that the products are trendy, easy to use, a good price and of very high quality is all just a bonus. While creating I would say my personal style is probably best described as "clean and simple" but I love to try out new techniques and different ideas, it's fun to mix it up and learn something new. Turning a vague idea into something that I can hold in my hand and share with my family and friends is just extremely satisfying for me. The simplest answer is, I like to. I like to do what I do and have always sought different ways to be creative, be it photography, baking, gardening, cross stitch, etc. I have always kept journals with bits and pieces of ephemera tacked in there. 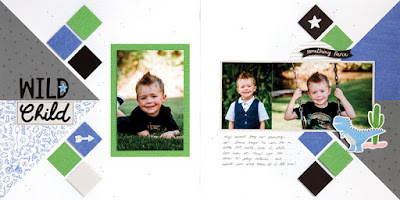 I decided to learn about "official" scrapbooking when my husband and I were living in Oregon. I wanted to do something special with our wedding photos and it all started there. A friend (Jackie!) took me to a huge craft store and helped me pick out a bunch of items to get me started but I found I was a little lost. Another friend invited me to join her monthly scrapbooking club where I could learn new techniques and ask all the questions I wanted. This friend is the lovely Wendy Coffman who's bio you will see later in this post. I refer to Wendy as my paper crafting mentor and when I need inspiration I just have a look at her latest work. SLOWLY! As mentioned in question #1 I am great at getting projects started but can be a slow poke at finishing them off. I think this is why I hold classes/workshops, participate in blog hops and on design teams, it gives me deadlines and the push to be happy with what I have created right now and not second guess my choices. Marilyn of Pink Paper Cottage! Meet Marilyn McLeod, retired mom, wife, paper crafter, quilt maker, book publisher, animal lover, and amateur photographer, who has never outgrown her love and passion for color and creating things out of fabric and/or paper. She resides in central Oregon with her husband of 11 years (yes, they met online! ), and two bird chasing cats. Her past loves (horses and alpacas), and family of 3 sisters, two sons and step-children take center stage in most of her scrapbooking, which she has been doing in some form or other since she was 6 years old! Marilyn loves to craft the hours away, well into the wee hours of the morning, and keeps a notepad by her bed for when she wakes up in the middle of the night with a new idea. Marilyn says: “I love sharing my passion for creating, so I give occasional classes on anything from card making, to paper flowers, to sewing, to crocheting, to digital scrapbooking. I especially love making paper projects that look like little miniature quilts and that use paper folding. I really enjoy sharing my newest projects and techniques on my blog”. Wendy Coffman of Stamping Rules! 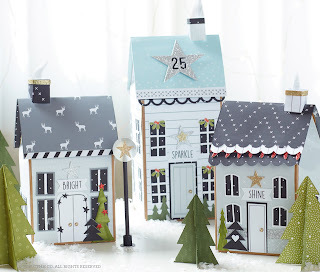 As I mentioned before Wendy is my paper crafting mentor/guru/idol! and I have greatly missed seeing her on a regular basis since we moved back to Canada. Wendy, husband John and their 3 boys recently relocated to Spokane, WA and if Facebook and Instagram are any indicators they are having a fabulous adventure and settling nicely into their new city. Unfortunately Wendy is running a little behind in getting me here "official" bio. So once I have it I will update this post! Thanks for your understanding. Hi my name is Patricia Manhire and I live in Lower Hutt, Wellington, New Zealand. I have always done some sort of crafts since I was a child. I come from an artistic and creative family. My grandmother won a scholarship for her art but was unable to take it up and she taught me a lot of crafts such as crochet, needleworking and tatting. My mother did a lot of crafts from knitting, sewing, macrame to leatherwork. My father does wood turning and makes some beautiful handcrafted toys. My sister also does lots of crafts including knitting, sewing and embroidery. 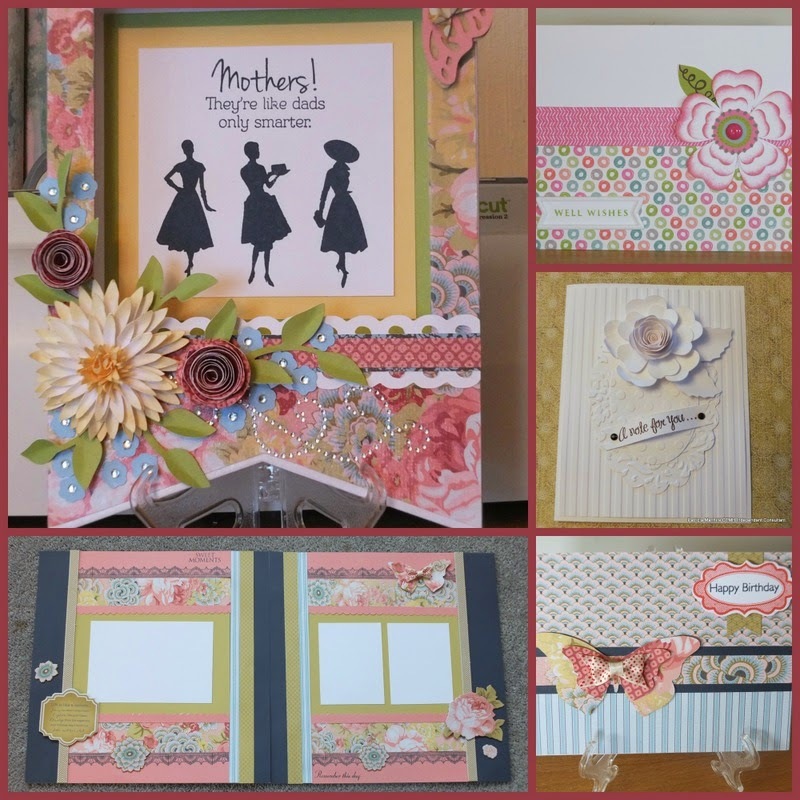 I discovered cardmaking nearly twenty years ago when I went to Spotlight and discovered stamping and embossing. There was no embossing or diecutting machines and all the stamps were on wood. We used a lot of corrugated card and raffia if I remember rightly and coloured in with colour pencils that the children used. Now there is so many more products on the market and we are not using children's toys anymore. I have gone from storing everything in a shoebox in my spare room to having my own craft room with tv and MySky! I now have a Cuttlebug and Cricut E2 machine and my crafting is light years away from my first efforts many years ago - especially since joining Close To My Heart last August when they came out to New Zealand after Creative Memories collapsed here. I am mainly a cardmaker, but I have also started scrapbooking in the last few years as there are so many cards I can make. Plus I have many photos to put into albums and when I had to give up work for health reasons I decided that would be my job to do. I must admit to using the How To Books from CTMH to do my scapbooking but I still put my own twist on the layouts. I am loving the CTMH range of products as they are so easy to coordinate and my crafting has certainly gone up a few levels to include doing a lot of other items such as 3D items like the pennant frames and boxes from CTMH. I love making paper flowers and challenging myself to do different folds of cards so show others what they can do. Because I make so many cards I have opened my own shop selling all locally made arts and crafts including my cards and boxes. I am planning creative workshops in the shop to pass on my passion to other people. Thank you for stopping by and I truly appreciate your comments. I hope you take a few minutes to check out all the blogs on this every expanding tour and once again I would like to thank Alice for the invite to play along. I would also like to thank Marilyn, Wendy and Patricia for allowing me to introduce you to them. Thank you Candra for the mention of me and my blog! It was so fun reading all about YOU and that you lived in Oregon! I also follow Wendy Coffman's blog. I am alot like you in that I'm GREAT at starting projects, but not so great at finishing them. I'm working on that. I also live an hour away from scrapbook/craft stores, so LOVE getting the CTMH stuff in the mail. I'm looking forward to answering my 4 questions next week.